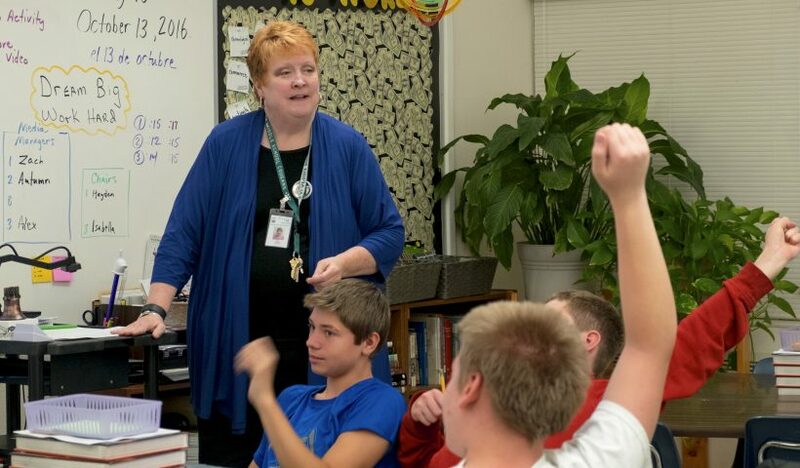 Calapooia social studies teacher Sue McGrory was named a 2016-17 Civic Scholar and will be recognized at the annual Civics Conference for Teachers at the State Capitol on Dec. 2. McGrory was nominated by Senator Sara Gelser. 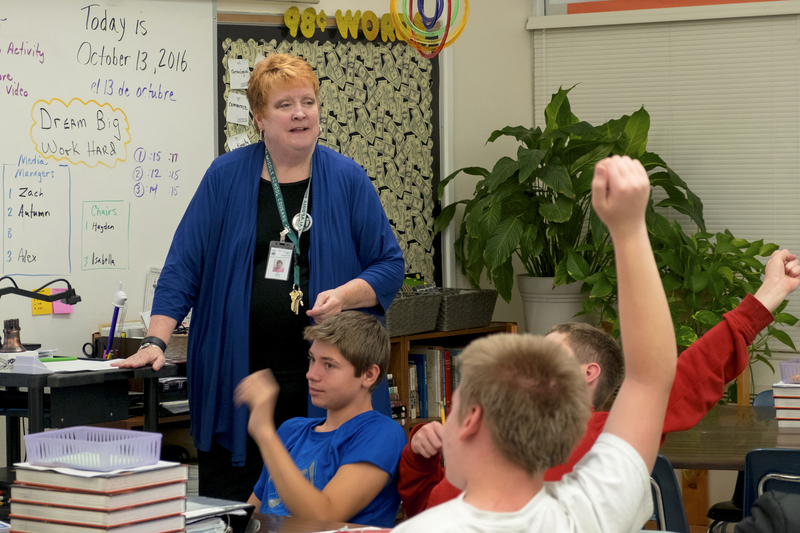 The award is part of a statewide initiative to enhance high quality professional development in civic education for teachers. It includes conference registration, special recognition at the conference and follow-up classroom assistance. The Civics Conference for Teachers is in its 10th year. It is organized by the Classroom Law Project and includes break-out sessions and a chance to network with social studies teachers from other districts.